Welcome back, Martin Nguyen. The defending ONE featherweight champion put on a spectacular show on his return bout from injury. The 30-year-old Vietnamese-Australian retained his title at ONE: Roots Of Honor with a superb knockout of Mongolia’s Narantungalag Jadambaa Jadambaa. Both men were up for this fight, but it was Nguyen, the younger athlete by 13 years, who had more pop in his strikes. He was also quicker on his feet. 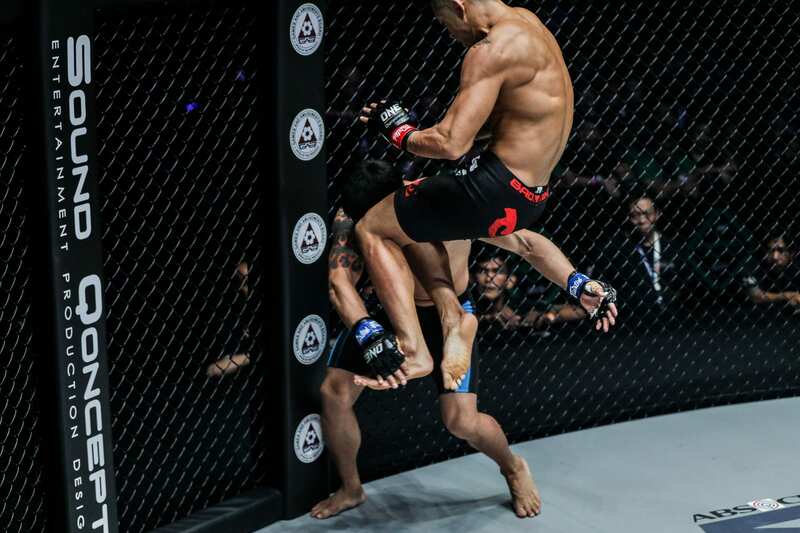 Nguyen avoided being caught by any of Jadambaa’s heavy shots in the opening round and looked the fresher fighter coming into the second. The defending champion then went to work on his opponents left leg, with a series of blistering kicks. Jadambaa, limping at this stage, backed himself against the cage. Nguyen, sensing his opportunity, then launched his aerial assault. A flying knee caught the Mongolian perfectly to stop the contest instantly. Nguyen could not have scripted a better comeback performance. In the nine months that Nguyen has been on the sidelines, ONE has undergone something of a transformation with all their new star signings. However tonight, he reminded everybody of how good he is when fully fit and injury-free. In the evening’s co-main event, Filipino Joshua Pacio made sure the home fans went home smiling. Pacio reclaimed his title from Japan’s Yosuke Saruta with a stunning fourth-round knockout. The hometown hero had to work for his win as he was sent to the canvas in the first round. However, as the rounds ticked off, Pacio came into his own and began to assert control of the fight. Pacio’s win ends a poor run for Team Lakay that has seen the camp lose three of their four ONE titles. It was a good night overall for the Singapore-based promotion with a number of entertaining contests. The worry must have been that after the high of Japan, there would be a comedown, but that was avoided with a solid all-around show. 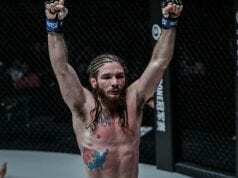 Leandro Issa defeated Fu Chang Xin via first-round submission.